This is a little bit of a different post today... something different from the normal DIYs and recipes. It feels a little bit indulgent to write this, but cleansing at the same time. And love them or hate them, migraines are a huge part of my life. I have been struggling with migraines for about 12 years now, and it has been a roller coaster of a journey. They started when I was about 13, and even though some time periods are better than others, they really haven't stopped since. Many of the people on my Mom's side of the family are migraineurs, and some get them worse than others. You see a range from those who get the occasional bad headache, to a dear aunt who suffers so badly that she isn't able to work. At first since I was so young, doctors were very hesitant to put me on any medication. I would suffer from debilitating headaches at least once a week. I would miss school, extracurricular activities and hanging out with friends because my head always hurt, or because I was too tired. College was especially rough for me, as I dealt with being away from home for the first time, keeping myself healthy, and probably fighting a little bout of the blues. I was finally put on a great series of migraine medications, and was able to keep my headaches mostly in check for a few years. No longer was I having 4+ headaches a week--now I would only have a very bad one occasionally. Life seemed in control. Fast forward to today. A few months ago I started having more migraine symptoms again. This time though, it is presenting in my eye and face. I will not only have pain, but also muscle twitching in my face with some vision loss in my right eye. This is extremely annoying when I'm at work, and makes it very hard to concentrate. 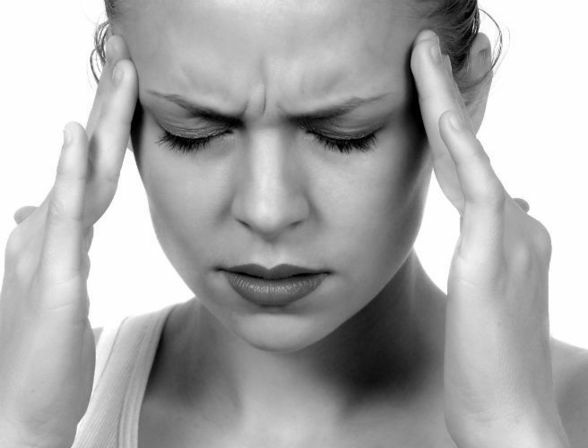 The headaches have also been more frequent, which is starting to concern me. I know if anyone else suffers from chronic migraine, they can share in my frustration. Just when everything was better, it got bad again. Migraine is not the worst thing to have to fight with in the word, but it is hard to not feel defeated by it. I don't want to have to miss out on things because I have a headache or am too tired. I had an appointment this morning at the Neurology Specialists at our local hospital. We adjusted my medications, and there are some other things that I am going to try to keep things in check. The doctor suggested that I keep a very detailed headache journal for the next three months, as well as going to get my eyes checked. Is anyone out there a migraineur? I would love to hear from you and chat about your experiences. I too suffered from migraines since puberty. Finally at the age of 31 I had a doctor give me a medication to prevent them. I am on 25 mg of Topamax twice a day. I've only had a few migraines since then but when I do they are really bad. Normally the ones I've had now are sinus related. It just feels good not to have a headache every single day. I went through a period where I was having the silent migraines where I would experience no pain just vision loss and confusion. Those are the worst because they are so scary. I would get so confused and be at home with just me and the baby. I would have to call someone. Once no one could come so I had to stick him in the pack and play and turn on the tv. Thankfully that one didn't last about 30 minutes. I hope you are able to get them back under control. First of all, thanks for commenting! I felt like I was taking a big risk by posting this! It's nice to know that we aren't alone out there. I've been taking topamax for a couple of years, and just had the dosage upped. I'd never heard of the "silent" migraines, but I guess that is what is happening when I get the facial twitching and vision loss in my right eye--since sometimes there is no pain with that. It is such a scary thing. I'm glad that you aren't suffering every day anymore. Please feel free to contact me if you'd ever like to chat!